Carrie Underwood is my makeup hero ... especially when it comes to peach lipgloss. This gal knows what works on the red carpet, and time and time again she looks absolutely flawless. Her lips simply glow and glisten with gorgeous iterations of coral, salmon, apricot and peach. Don't believe me? Check out the proof! Want to know how to make this look work for you? The trick is in the application. Make sure your lips are buffed and chap-free -- the worst thing possible is to have gloss flaking off your lips throughout the day because they're not prepped properly. Layering is also paramount. Swipe on a layer of gloss, blot, and swipe on a second layer! It should appear thick enough to have some weight and depth behind it, but it shouldn't be caked on your pout. The good news? Gorgeous peach glosses are everywhere. Whether you want to spend $5 or $50, there's an option out there for you. Here are a couple to get you looking exactly like country music's lipgloss darling. The moisturizing properties of this gloss are unbelievable. 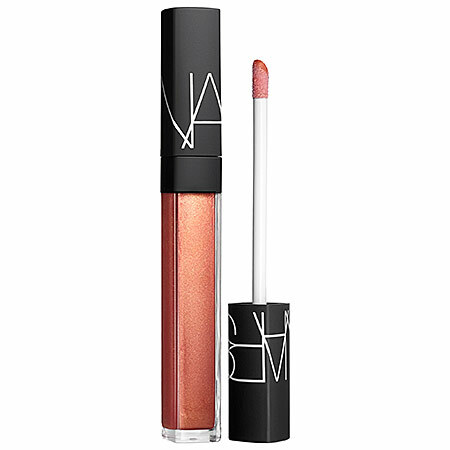 Vitamins C and E are so hydrating, and the color is the perfect shade of peach with just a subtle hint of shimmer. It looks fabulous on its own or layered over pink lipsticks! The brand's signature shade will totally make you scream with delight in this pretty gloss. While it can feel a bit sticky and tacky, the color is incredible on a variety of skin tones. It almost has the feel of a stain, but it still has the look of a gloss.